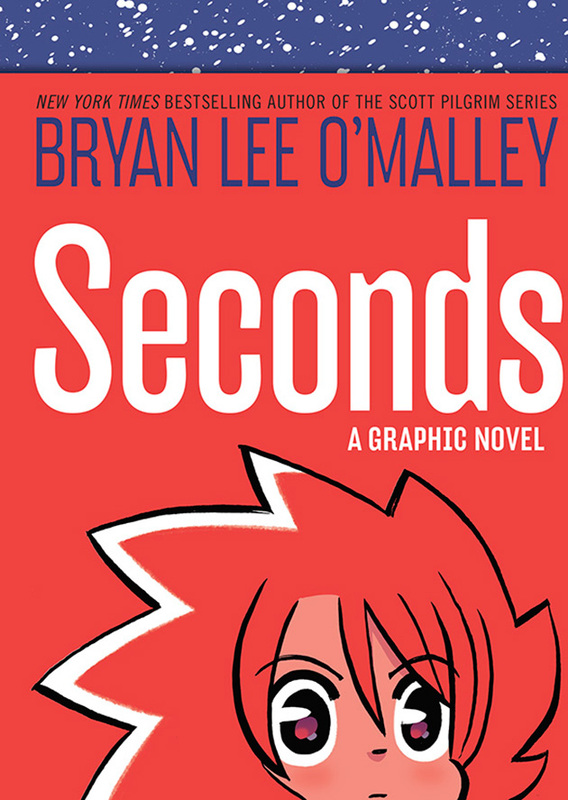 After four years in the wilderness, Canadian comics hero Bryan Lee O’Malley has returned with fantastical graphic novel Seconds, a more-than-worthy successor to the cult phenomenon that was his Scott Pilgrim series. While Pilgrim was lauded for its inventiveness in bringing the pace and aesthetic of video games to the comic book format, Seconds takes its inspiration from a much older source, namely European folklore. Its heroine, Katie, is a chef who dreams of opening a new restaurant, despite the catalogue of romantic, financial and culinary woes already besetting her daily existence. Desperate to wipe out some of her past mistakes, she accepts a (literal) magic mushroom from a mysterious white-haired girl who appears in her room one night, and discovers that it gives her a “do-over” of the things in her past she’d like to change. As Katie begins to abuse this new-found power in pursuit of creating the perfect life for herself, something dark and terrible starts to grow under the floorboards in her pantry, an ancient force which will threaten everything she still holds dear. With its cautionary tale of the fantastical intruding upon the everyday, Seconds at times feels reminiscent of the work of Neil Gaiman, a very different vibe from the kung-fu sugar rush of Scott Pilgrim. But O’Malley has never been one to emphasise style over substance; one of his greatest strengths is a depth of characterisation which ensures that even the quirkiest of his creations display a profound humanity. This is certainly the case with Seconds, where the relationships between a group of flawed but likeable characters provide the poignant backdrop to a story ostensibly about magic powers and vengeful spirits. Katie in particular makes for a great central character; opinionated, talented and passionate but occasionally given to deceit and selfishness, she’s the heart of a story which never gets lost in its own mythology. 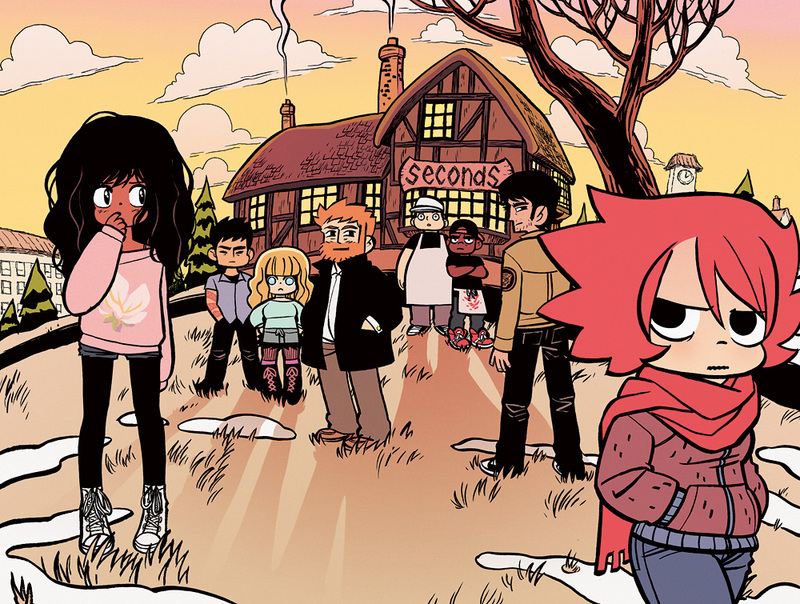 Fans of Scott Pilgrim will find plenty to enjoy, but Seconds is clearly the work of a writer who has matured considerably over the last few years. Perhaps the only thing on display more impressive than O’Malley’s writing is his artwork. Cute but expressive, cartoonish but emotive, his manga-influenced designs leap from the page in a rich array of colours, creating an atmosphere of haunting beauty throughout the book. There are a couple of splash page cross-sections which stand out as particularly breathtaking, and it’s nice to see O’Malley experiment with more fantastical subject matter, too; the latter part of the book sees him display a hitherto unknown talent for conveying eerie menace, which feels all the more jarring when set alongside his usual warm and fuzzy stylings. Seconds is proof that O’Malley has grown as both an artist and a writer, whilst retaining the stylistic quirks which make him unique. We can, it seems, continue to expect great things from him.